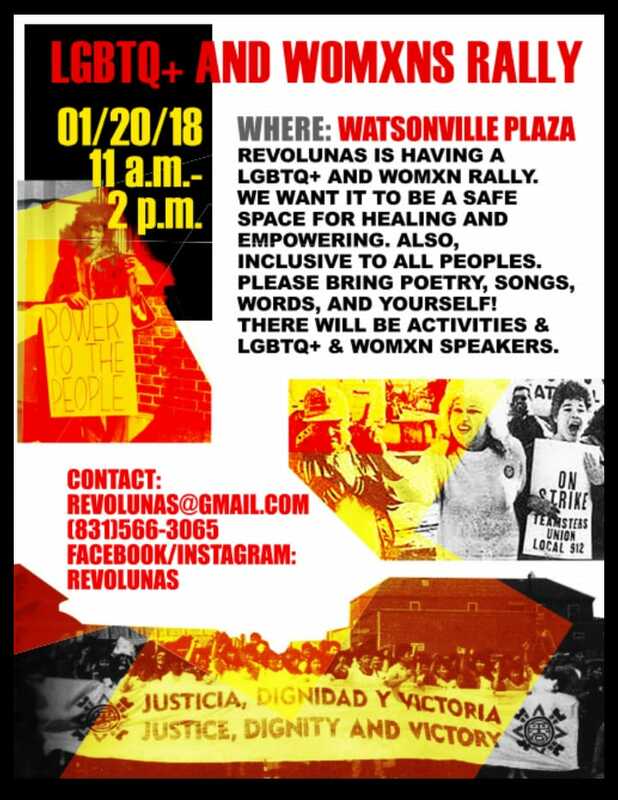 Revolunas is having a lgbtq+ and womxn rally. We want it to be a SAFE space for healing and empowering. Also, inclusive to ALL peoples. The theme will be "healing that empowers radical change." The activities will consist of womxn and lgbtq+ speakers that are working-class peoples that are in the struggle. Usually in rallies we tend to focus on those that are deemed "successful" and that have "made it." BUT not everyone "makes it" and we need to honor survivors such as moms, farmworkers, and those that have been forgotten; but gave their lives to different movements. This is dedicated to them!